A proper preparation cleanses and purifies our vessel and allows it to receive greater Light and blessings for the next year. The month of Elul (Virgo) is known as the month of The Tikunei Zohar. Kabbalists recommend reading the entire Tikunim from the first day of Elul until Yom Kippur, a forty-day period. After the sin of the Golden Calf and the breaking of the first tablets, Moses ascended Mount Sinai pleading to God to forgive the Israelites and to restore the Torah for them. The day was Rosh Chodesh Elul, and after 40 days–on Yom Kippur–Moses came down with the second set of tablets, bringing the new Torah to the world. During those 40 days, Moses created openings for the Light of Mercy and the ability to cleanse our souls in order to receive the Torah. The 10 spies Moses had sent to tour the Land of Israel came back after 40 days, on the 8th of Av, with a negative message about the land. They committed a big sin of evil speech for which they all died on the 17th of Elul, 40 days after their sin. This was part of the cleansing process of this month, so this is our opportunity to cleanse our souls during this month in order to receive the great Light on Yom Kippur. The world was created on the 25th of Elul. 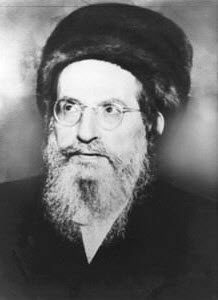 On that day, we also have the Hilulah (Death Anniversary) of Rabbi Elazar, the son of Rabbi Shimon. They both brought to the world the Tikunei Zohar with the teachings of Moses who is called in the Zohar ‘Ra’yah Meheimnah’ (The Faithful Shepherd) and Elijah the Prophet, who is Pinchas. The Tikunei Zohar is comprised of 70 studies on the first word of the Torah, בראשית, “In the Beginning.” They connect us to the seed level of Creation, the first six letters of the Ana B’Koach, אבג יתץ, and the 70 inner levels of the Torah. This gives the Tikunei Zohar the immense power to cleanse the soul and prepare us for the days of judgment of Rosh Hashanah and the day of reward, Yom Kippur. There are positive spiritual energies available to us this month. Stay on the right path and focus on Tikunei Zohar book. Most people don’t have the Tikunei Zohar in their library as it is not included in the regular sets of the five books of the Torah. Some Hebrew sets, however, include part or all of it.